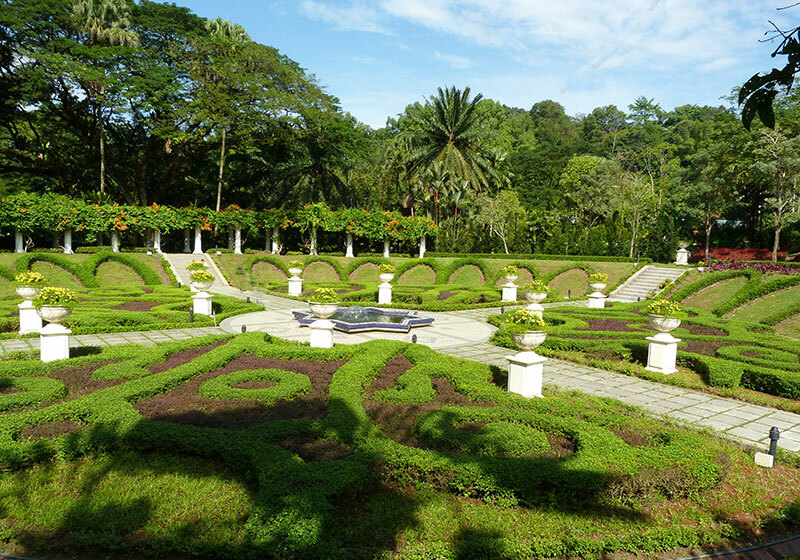 The Lake Gardens of Kuala Lumpur has a long history since 1888. Due to its lush greenery and jogging tracks, the Lake Gardens are usually frequented by joggers or those who just wants some time away from the busy city. The Lake Gardens is located along Jalan Lembah and has two manmade lakes and other parks which attract throngs of visitors. The Lake Garden‘s opening in May 1975 was officiated by the second Prime Minister of Malaysia, Tun Haji Abdul Razak Hussein. Extending over 92 hectares of land, the Lake Gardens houses various parks and gardens. As of today, there are five other gardens and parks which are open to the public daily. They include the Orchid Garden which is filled with over 800 species of orchids. At the Orchid Garden, visitors may take as many pictures as they like and they can even buy a few pots of orchid home. The other garden is the Hibiscus Garden where our national flower grows in abundance. Short Description: Lake Gardens, known officially as Perdana Botanical Gardens, is Kuala Lumpur's first large-scale recreational park. Measuring 91.6 hectares, it is located in the heart of the city and established in 1888.